Crypto markets are no stranger to volatility however this past week has been particularly painful. 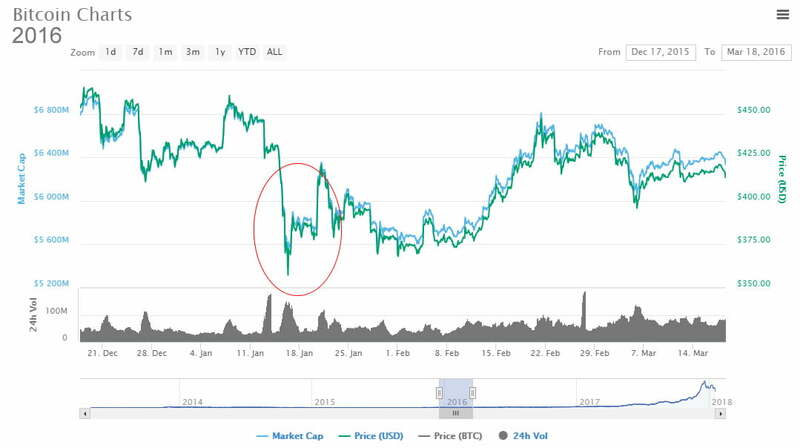 The total market capacity of all cryptocurrencies fell from $740 billion to $420 billion in just four days, a brutal drop of over 40%. At the time of writing markets appear to be showing signs of recovery and are on the way back up again with over a hundred billion dollars added back since yesterday. Speculation on the cause of the crash is rife but it would be more pertinent to simply look at historical charts to see if there is a pattern. It turns out that this has occurred every January since 2014. 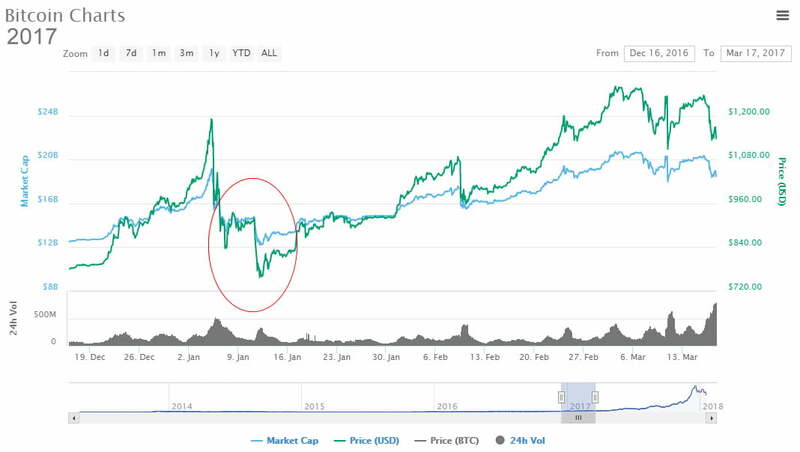 In what appears to be a natural cycle in the markets the price of Bitcoin and its siblings has dropped significantly at this time of year for the past five years at least (source: Coinmarketcap.com). Crypto is not going to die, markets are cyclical and need to correct on occasion, and January is as good a month as any. There are a number of possibilities for this; firstly we need to look towards Asia where a large proportion of digital currency trading occurs. Chinese Lunar New Year is typically a time when millions of people have time off work to travel back home to visit family. They need fiat for this so some profit taking and a selloff is expected. Other factors such as the approach of the end of the tax year when people need to get their financial houses in order could also contribute. Additionally there have been other big influences such as the expiration of the first ever Bitcoin futures contracts this week. All could and probably have affected market sentiment and price action. Waves of new traders feeding off unsubstantiated Facebook groups and Tweeter feeds trying to make a quick buck have added to the volatility. FUD (fear, uncertainty, doubt) and FOMO (fear of missing out) have created unnatural spikes in altcoin charts and coins come in and out of favour on a shill or a whim. Only when it is realized that crypto has not collapsed and markets do go down as well as to the moon will things settle down. We are still at the emergent stage of what is gearing up to be a mushrooming market and a technological life changer, there is no need to panic!